I don't understand where Ostapenko's harsh criticism of A-5 is coming from. A major user will be the Russian defense establishment with A-5 being the workhorse for national security payloads launched from Plesetsk, and A-5 has more than enough payload capacity for their needs, even considering the weight reductions when launching from high Northern latitudes, while a "civilian" pad in Vostochny would allow launching of oversized payloads if needed. Additionally, the use of a hydrolox upper stage (now under development) will boost performance for geostationary payloads, and give the Plesetsk pad a superior delivery capability than the current Proton from Baikonur (if Plesetsk is upgraded with hydrogen facilities of course...). All in all, it sounds like a good system that is well in line with Russias proven current needs. I agree that a heavier launch system is needed (eg for support of BEO manned operations), but its unfair to criticize current Angara models for not being able to meet these new requirements. Ostapenko seems to be indulging in some political kabuki, but what is his real agenda? Is it as simple as wanting to divert resources from extra A-5 pads to accelerate a SHLV program? If so, a sensible tactic would be to ensure that SHLV launch pads are designed to be able to accomodate A-5/A-7 launches as well. SHLV launch rates will be relatively low compared to A-5 class vehicles, so being able to utilise the facility for other launchers between SHLV missions makes a lot of sense IMHO. I can envision a flame pit & launch platform design that can be configured to suit a range of vehicles, and a number of service towers on seperate rail systems that can be deployed to suit the particular launcher class being employed. Launch support systems (instrumentation, communications, hydraulics, controls, fuelling etc) should be designed to use standard interfaces where possible to maximise commonality and reduce complexity. Russia values the super-heavy more than the Angara, for some unknown reason... 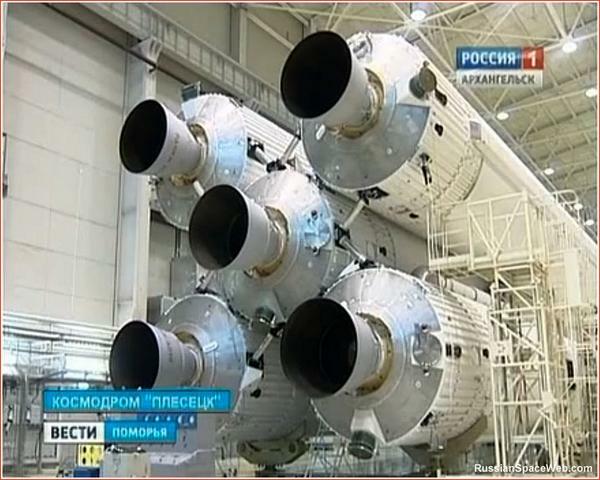 He probably figures that while the Angara is important, they always have the Proton and Soyuz as backup. I've seen criticism that Angara is not cost-effective enough, that it doesn't take into account more aggressive cost/launch metrics ala SpaceX. Therefore, another platform would be needed to really go in that direction, probably methane fuel, reusable boosters, etc. Not really sure of the basis of that completely myself, but that's something I had read. It does seem like Angara was chosen simply as a Plan B when Rus-M wasn't making the cut, and they needed/wanted to start a modern rocket "now". Will be interesting to see if they do integrate Angara with SeaLaunch, in terms of commercial launches. mutantsushi wrote: I've seen criticism that Angara is not cost-effective enough, that it doesn't take into account more aggressive cost/launch metrics ala SpaceX. That really can't be proven or otherwise until Angara enters full production and use. SpaceX is only so big, and they don't have a rocket with a 20 ton payload. The Falcon Heavy will change that, but it will be "overkill" for that payload size and could have issues with is 27 Merlin engines.... N1 all over again! Not only that, but the Angara has a better payload-to-weight ratio than the Heavy, indicating lower a $-per-kilo ratio. That is sort of what the Soyuz-5 would be... Methane has no large advantages, and is less efficient at lower altitudes. Baikal booster is reusable, and could be produced with ease. They could, but only if they really want to. Sea Launch isn't nearly the size of other launch provider anyway. Meh. There is much hoopla about SpaceX pricing, but Musk isn't opening his books and there is no way to know if he is actually making any money. I rather suspect that he is running a loss and using profits from his other enterprises to sustain SpaceX activities. His aggressive ploys to undermine ULA and Arianspace suggest that his plan is to grab market share and then jack up prices. Angaras' principal value is as a domestic-built launcher for national security payloads using non-toxic fuels that can be launched from Russian territory. Optimal cost-effectiveness is not such a priority, as while it may be desirable to minimise costs, where the rocket builder is a 100% state owned enterprise servicing state payloads, some inefficiencies can be tolerated as operating margins are ultimately recycled back to the state authorities rather than pocketed by private interests (and much of the money flows to the pockets of local workers and thereby ploughed back into the local economy). I have no doubt that Angara can compete with Musks rocket, particularly if the reuseable Baikal strap-ons are developed (fly-back boosters functioning as a UAV and landing on an airstrip would be a more reliable system than SpaceXs rocket powered descent and landing legs). The videos of the Angara hanger where it is being assembled are a good indication that the project is not some maximal taxpayer waste. The designers are not BSing when they highlight its modularity. I really do not see where the cost savings can be obtained by Mr. Musk. Mr. Musk's product makes sense in the USA where a single launch of an atmospheric sounding satellite costs over 320 million dollars (the overhead taken by NASA to run the mission is much higher than the actual launch cost) but not in Russia. A lot of the hyping of Space-X looks to be ideologically driven and not based on actual cost figures. kvs wrote: The videos of the Angara hanger where it is being assembled are a good indication that the project is not some maximal taxpayer waste. The designers are not BSing when they highlight its modularity. I really do not see where the cost savings can be obtained by Mr. Musk. Mr. Musk's product makes sense in the USA where a single launch of an atmospheric sounding satellite costs over 320 million dollars (the overhead taken by NASA to run the mission is much higher than the actual launch cost) but not in Russia. Saw them too... Angara should be 100% worth the time, money, and resources spent to develop it. I think SpaceX quotes the real price, but NASA doesn't half of the time. For instance, they claim the SLS will cost $500 million to launch, while the real figure is closer to multiple billion! Journalists can never get the facts straight or a case of really bad editing. The launcher with 80 ton capacity expanding to 160 later is not in the Angara family. It is a new launcher design. But it is good to hear that things are on schedule. Tell me about it.... They call it the "first launch" for crying out loud! Yes, hopefully we keep on hearing the good news! 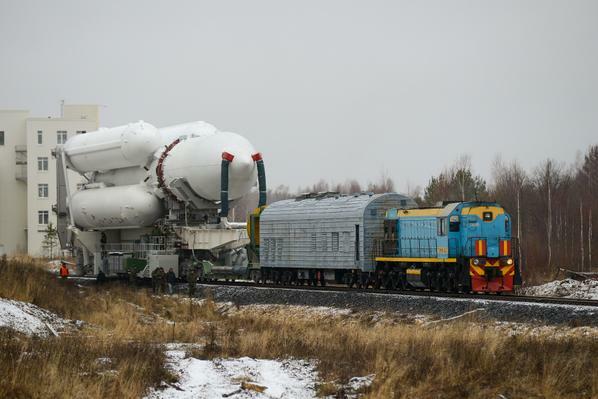 So what Russia will build after Angara for heavy cargo? Is there anything official of of next generation super heavy rocket ? or it will be a re-use modernization of the Energia launcher? There is much more info on the super-heavy at the lifters thread. Fingers crossed for an excellent addition to ones Christmas stocking... Go Angara!! Yep, it will be our present! - As long as it is a success... I have to admit that I'm a little worried because of the higher chance of failure (5 boosters instead of one, all working on a different detachment unit....) and recent problems with propulsion units (briz-m). I'm not worried about the URM-1 or URM-2 performance, as the URM-1 has been tested 4 times successfully (3x by KSLV, where the SK components failed on the first 2 flights) and the URM-2 once by 1.2PP. Given that the inaugural flight is a dummy payload to low orbit, I don't consider the Briz-M represents much of a mission risk. Even if the worst came to pass, the flight would still be considered a success in the way that Energia-Polyot was a sucess, even though the prototype laser platform tech demonstrator was lost (as the cause was payload related - a fault attitude sensor - not the Energia vehicle). Confidence was sufficiently high after that flight to risk Buran on its inaugural unmanned flight, so that proves my point. I take your point, but I think that Russia has enough experience in launching multi-stage rockets with strap-ons that such can be considered a mature and well-understood technique and represents a very low mission risk. Same goes for kerolox powerplants and flight controls, and launch pad ops. For me, the biggest area of concern is two-fold. Firstly there is vehicle dynamics and aerodynamics, though computational simulations are now light years ahead of what was available in Soviet times, and a repeat of unexpected vibrational modes in test flights (like those that bedevilled the N-1) are extremely unlikely. Secondly, there is the issue of manufacturing quality assurance which has lately afflicted both civilian and military launchers/rockets, so hopefully Krunichev has its A-team in the saddle and their best inspectors involved in manufacture and acceptance testing of all components/systems from external suppliers. Agreed for the most part, but nothing beats some good ole' launch testing.... I doubt the A5 launch will result in failure, but that doesn't mean that they should skip some (extra) crucial testing because of it. I'm a pessimist for the most part, but the realism inside of me contradicts that at times. The suspense.... Nice find BTW! Does anyone have info on the A5's booster detachment mechanism? Holy crap... The excitement is there! 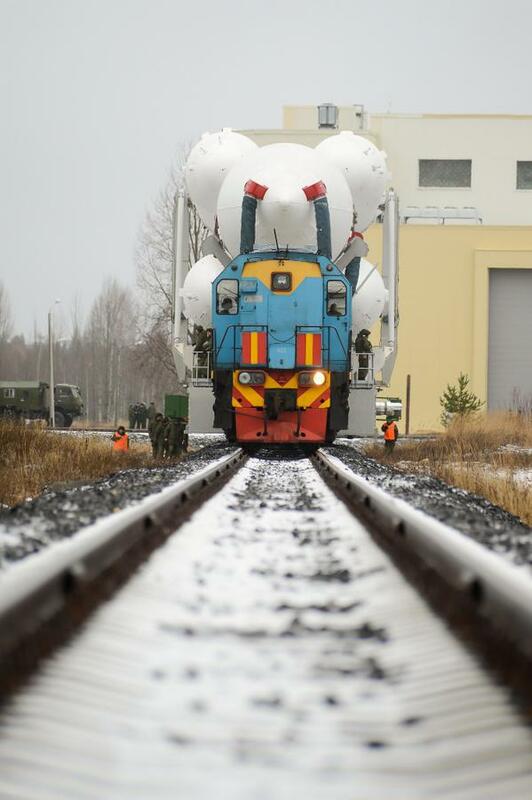 This launch will shape the Russian space industry for *decades* to come.